Whether you are simply replacing a faucet or remodeling an entire bath, it's helpful to have access to a wide selection of quality products and friendly experienced guidance when making your product selections. Frank Webb Home, the showrooms of the F.W. Webb Company, the largest plumbing distributor in the Northeast, offers this and so much more. Enjoy an extraordinary assortment of high-quality plumbing fixtures, vanities, mirrors, bathroom lighting and accessories from which to choose. Some of our showrooms also have lighting for baths, kitchens and dining area. The friendly, experienced team in each Frank Webb Home showroom has unique experience to help you decide on the best plumbing fixtures, accessories and lighting options for your project. They have worked for years with homeowners, designers and contractors to ensure that each project goes smoothly. Working displays, which allow you to experience how water flows from a faucet, tub-filler or showerhead, are a highlight of any Frank Webb Home visit. There is no better way to compare products and brands than to use them yourself: control the flow of water, understand the placement of body sprays, feel an air jet versus a water jet whirlpool tub. Kitchen and bath fixture technology is amazing today and the Frank Webb team will help you learn all you need to know to make the right selections for your home. You'll find us in: Connecticut (Hartford, Stamford, Waterbury & Waterford), Massachusetts (Auburn, Bedford, Bellingham, Boston, Brockton, Falmouth, Gloucester, Hyannis, Malden, Methuen, Needham, Northampton & Springfield), Maine (Bangor, Ellsworth, Lewiston & Portland), New Hampshire (Concord, Dover, Exeter, Lebanon, Manchester & Nashua), New York (Albany, Ballston Spa, Binghamton, Newburgh, Queensbury & Syracuse), Rhode Island (Warwick) and Vermont (Rutland & Williston). Visit frankwebb.com for inspiration and details on the many wonderful brands we carry, as well as directions and contact information for all of our showroom locations. As a local, family owned and operated company with over 25 years of residential glass and mirror installation; we pride ourselves on our professionalism and workmanship. 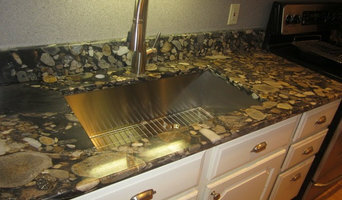 New England’s premier interior and exterior custom stonework and granite specialist. GerrityStone offers state of the art technology, specializing in precision templating, custom fabrication and installation of stone for indoor and outdoor living spaces. With the largest selection of natural stone, quartz and green-build options available in New England, GerrityStone works in collaboration with trade professionals to provide customers with the finest quality product at the best price. Recognized as the ‘Best of Boston’ 2010 by Boston Home Magazine, GerrityStone’s customer satisfaction ratings are consistently the highest in the industry. Monique's is a Showroom where Modern Elegance Meets Timeless Design. We carry everything from plumbing fixtures, faucets, valves, vanities, sinks, to shower enclosures and accessories. We sell to both the design and construction communities as well as homeowners. Our showroom offers a wide variety of products from all of the leading manufacturers, focusing on traditional design as well as modern, contemporary and transitional. Come visit our showroom and share in a wonderful experience. Our team includes licensed plumbers, a licensed construction supervisor and many years of showroom experience and up to date product knowledge. 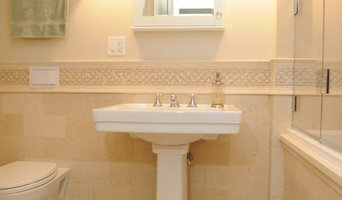 South Coast's Premier Kitchen and Bath Fixtures - Visit Our Showroom! Why choose KAM Appliances? KAM Appliances is a family-owned discount appliance store based in Cape Cod, MA. Since 1977, KAM Appliances has served customers in Cape Cod, Boston, Worcester, Plymouth, Framingham, Hyannis, Hanover, Nantucket, Fall River and Wareham with low prices on appliance products and top notch customer service. Our knowledge of the appliances we sell sets us high above the competition. KAM Appliances is an authorized dealer of such brands as Asko, Bosch, Dacor, Electrolux, Frigidaire,and more. We can help you select your new Appliances purchase at any budget. We look forward to seeing you at KAM Appliances, serving Cape Cod, Boston, Worcester, Plymouth, Framingham, Hyannis, Hanover, Nantucket, Fall River and Wareham in Massachusetts since 1977. Middlesex County's Huge Selection of Bath Fixtures and Accessories! Foley Refinishing has a proven record of excellence in bathtub/ tile reglazing and kitchen countertop / cabinet refinishing projects in boston and all over MA. Now also serving RI and NH. No matter the size of your project, the experienced professionals at Foley Refinishing will do the job right. The Designer Bath Showroom is located just north of Boston and features all of the major brands of bath fixtures, faucets, kitchen sinks, and so much more! For 69 years, our family owned third generation business has been providing homeowners, design professionals, and the trades with the best products combined with the best customer service. You can count on our team of knowledgeable design consultants to exceed your expectations. Marble and Granite, Inc. is one of the largest importers and distributors of natural stone, ColorQuartz, Neolith, Crystaline Stone, stone tooling and tiles. We search the world for the newest materials with one aim; we want you to fall in love with your selection. We are a full remodeling company with a great team that will take you from concept to completion. We take the time to listen to you and fulfill your wants and needs. Use the Houzz Professionals listings to find Boston, MA kitchen and bath accessory vendors. Don’t rule out asking a kitchen manufacturer’s design team for help, too. Skills often can be overlapped to save you time and money! Here are some related professionals and vendors to complement the work of kitchen & bath fixtures: Kitchen & Bath Designers, Kitchen & Bath Remodelers, Interior Designers & Decorators, Cabinets & Cabinetry. Find kitchen and bath fixtures and accessories, plus installation experts, on Houzz. Check out Massachusetts kitchen products and installers, and bath plumbing products and installers, on Houzz. 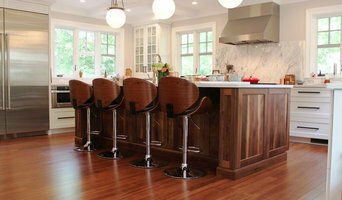 You can also look through project photos provided by Boston, MA renovators, retailers and designers.